It was reward for a season well-played. Elise's soccer coach promised that if the girls won all three of their playoff games that day, next week he would treat them to ice cream after the game. So win they did. Cue 7 year old girls squealing. Cue inward groans from one mom. The game was around dinner time... we'd have to do ice cream first, then dinner. Trying to make sure her BG stays pretty good during the game is hard enough, now I have to make sure she's at a decent enough number to have a treat after the game? Let's not forget how crazy her BG can run after games. Adding ice cream just doubles the fun! Of course, no matter what, Elise was going to be included. Even if her BG was 400, she would get her ice cream. The hard part is that nobody (but you guys) gets what a crazy, mind-crushing, hold-your-breath-and-hope-the-stars-align freaking tightrope we as parents walk in that situation. Two hours before game: BG is 220. You want to correct, but not too much so she isn't low at game time. Check her BG before game: 170. 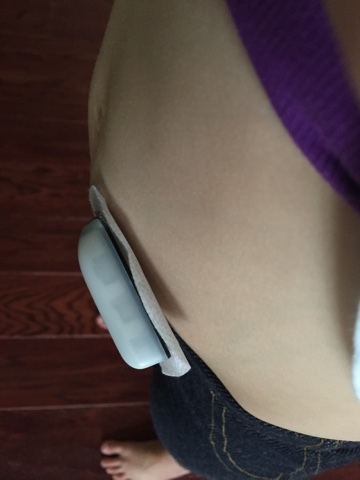 Hold your breath as you hope the exercise plus IOB doesn't crash her. Watch during the game as the dex meanders a line between 190 and 210. You want it to go lower. Hope it doesn't go higher. See her check her pod on her leg after she makes a save in goal and kicks the ball away. Make a mental note to ask what that was about later. Game is over. Finger poke shows 203. Bolus for 20g and head to the ice cream shop with the team. All these decisions we must make, the internal dialogue... nobody gets it (again, present company excluded). It's exhausting. So off we went to the ice cream shop. Elise's cone was at least double what I had bolused for. So I bolused some more. One of the moms watching commented about the PDM, "Cool! It's like a remote!" After the ice cream was consumed, we left to find dinner. We stopped at a restaurant, but due to behavioral issues, we decided to leave. But honestly, it was the 360 double arrows up that was the real reason. Elise's BG was skyrocketing and we didn't know why. We found out soon enough. Remember Elise checking her pod during the game? 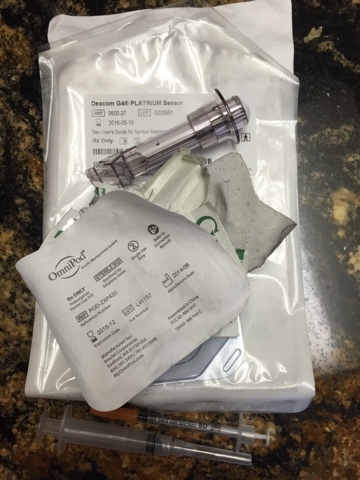 Something had hit her leg and jostled the pod, resulting in the cannula coming out. 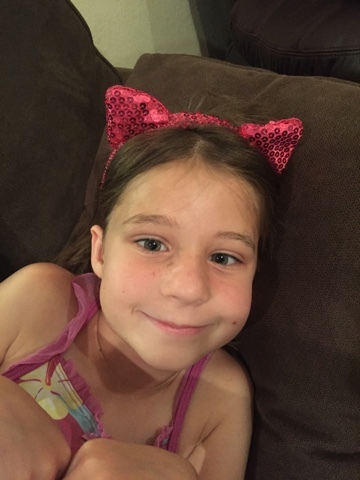 By the time we got home, almost three hours had elapsed, Elise had eaten about 50g of carbs and received no insulin. What's the point of this post? It's what people see vs. what they don't see. They see me check Elise, give insulin, give carbs and we all live happily ever after. Simple... like using a remote. What they didn't see was the 509 on the meter. The ketones. The stomach pain. The crying. The shot. The pod change. The bacon and yellow pepper she ate for dinner at 9:30 because her BG was still so high. The worried discussion on just how much insulin to give her. After all, it was bedtime. Why do I wish others could see what lies beneath? I don't know. I don't. I just wish they could get what freaking rock stars our children are. I'm feeling sort of ranty. And a little bit stabby. And like playing hide and seek with my kids... Me as the hider, tucked away somewhere they can't find me with a bottle of wine. And some chocolate. It's hot here people and cabin fever is setting in. Did you know it's going to be 108 next Monday? 1. 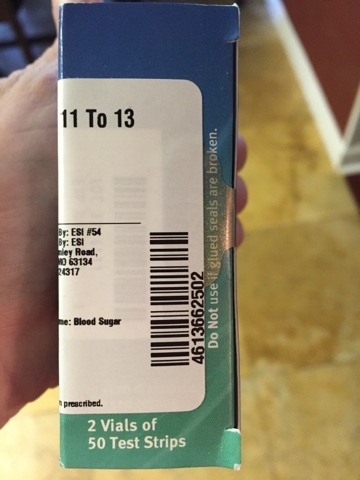 Why the freaking hell does our supply company cover up the expiration dates on Elise's test strips with their prescription label? Don't they know I have this weird need to organize our supply cupboard by date? The only way I can figure out the date is to RIP OPEN EACH AND EVERY BOX. Kill Me. Kill me now. 2. Elise's pump settings are broken. And I don't know how to fix them. Everything I do makes it worse. We did some basal testing yesterday and it showed me her basals are too high. We tried to test some more today, but multiple corrections haven't gotten her back into range to start the testing. It's almost dinner time and the poor girl still hasn't eaten lunch. 4. Elise just came and showed me this. So instead of finishing my rant, I'm off to change her pod. After which, all my other rants will have disappeared into the vast recesses of my brain; never to be remembered again. So I'm dropping the mic and walking off the stage. *in case the title of this post makes you think I've gone crazy, read this. The title really has no meaning. It just made me giggle. 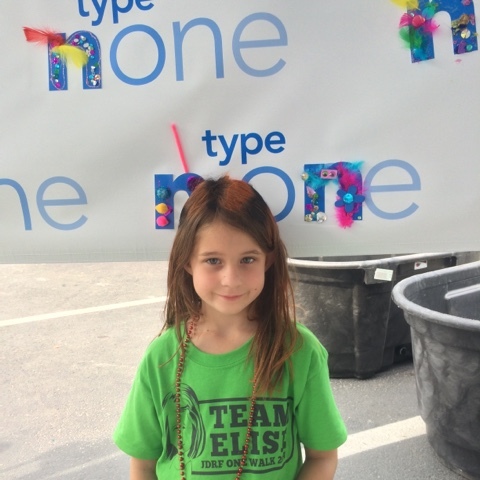 It's hard to believe, but in just a few months Team Elise will be participating it its 8th JDRF walk here in Dallas. I can still remembering almost falling apart when I took Elise to the walk only two weeks after she had been diagnosed. 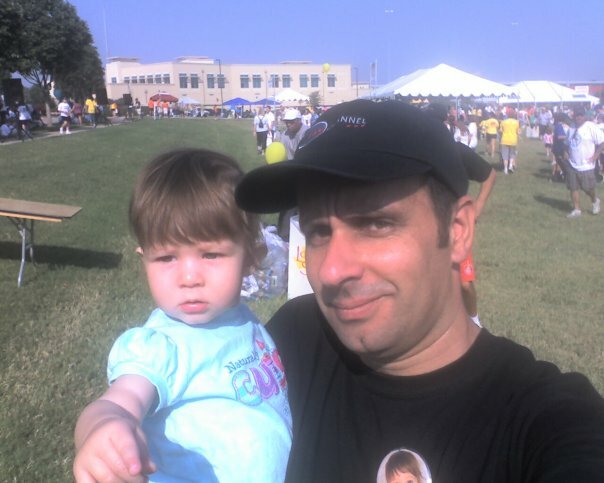 The first Team Elise walk... she was so little! 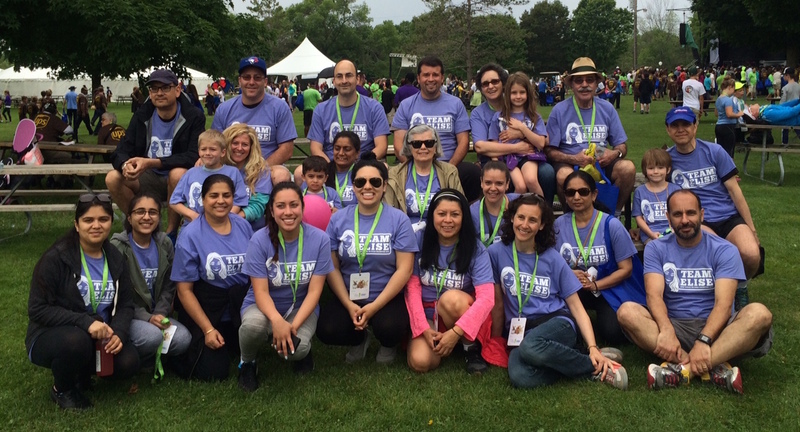 Fast forward to seven years later and Team Elise has participated in 20 walks in 5 cities across 4 countries and 3 continents. How cool is that? This year the shirt colour is purple (picked by Elise because it is my favourite colour - how sweet! ), and if you live in the metroplex, we would love it if you would join us on September 26... and get a super cute shirt for free! And if you just so happen to be in Lisbon, Portugal on that day, you can join our friend Tiago. If you click here, you will be taken to our Team Elise website. You can then click "join" and that will give you all the details on how to join our team. You can donate to the Bionic Pancreas by going to: www.bu.edu/alumni-forms/forms/eng/damiano/ (please enter "Team Elise" in the Comments/Questions section). Or you can donate to the JDRF by going to www2.jdrf.org/goto/teamelise (click on Donate). We are so thankful for all the support we've received throughout the years. Thank you to everyone who is helping us turn Type 1 into Type None.